Let Our Men Be Men-Wow, what a title, huh? Now that title may have some of you scratching your heads while a great many of you think you may know what I am talking about. If I heard a title like this, I would think the author was talking about how women often emasculate men. This is true; however, I have already talked about respecting and speaking positive words to our husbands, so I’m actually not going to go there. Have I peeked your curiosity enough to get you to keep reading? When I say, “let our men be men,” I am actually referring to the fact that often times women want their husbands to be women! Say what? Yes, you heard (read) me correctly. A lot of women want their husbands to complete them, share the same interests, talk with them for hours on end, etc. We don’t recognize the fact that most men don’t like the same things we do because they are men and they were made to be different from us. Yes, our men should make efforts to do some of those things with us, but we need to be careful with our expectations and demands. Often times we not only want our husbands to do these things with us, we want them to want to do it, we want them to love to do it. For the first time in my life, I am beginning to see my husband’s point of view. Just because he doesn’t like chic flicks or long walks on the beach, does not mean he doesn’t love me; it just means he is a man and likes different things. Instead of expecting my husband to sit down and have a three-hour conversation about my random thoughts and feelings, maybe next time I’ll just call up a girlfriend and have a little chat. Please note that I am not saying we should never expect our husbands to share and communicate, but it comes down to picking our battles. Save the chit-chat for serious matters or really important stuff. You will hear people say marriage is a compromise. This saying is very true. Husbands and wives should spend some time doing things that the other wants to do or needs to feel loved; however, I think it is good for each party to pursue their own interest as well. While I believe it is biblical for our mates to complete us, (give me a moment and I’ll explain) I don’t think we have to spend every waking or free moment together. My husband was made to complete me in the sense that if I do my part and he is doing his part, then we make one complete, functioning unit. He was not made to fulfill my every need. Christ is the only one who can take on that role successfully. I need to feel good in my own skin and not need somebody by my side at all times (other than God). I think some women fear if they let their husbands get too far away the husbands will realize they don’t really like their wives after all. (I am kidding-well, at least a little). My helpful hint for the day: Next time you give your man some “man time” as we discussed a few days ago, call up a girlfriend to do some of those things that your husband doesn’t really like to do (talk, chic flics, etc.). Yes, you may have your kids at your heels, but we are women and made to multi-task. Remember, he is your husband and not your girlfriend! 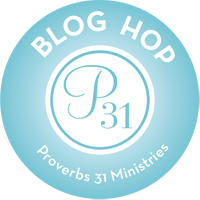 Next Next post: 31 Days to Becoming a Better Wife: Day 25: Divorce-An Acceptable Sin?